Download our Windows software My Daily Wallpaper and manage your desktop wallpaper easily! 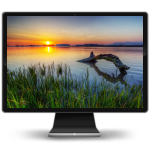 Automatically change Windows wallpaper, browse other 300,000 HQ wallpapers images and more! Click here to visit our software page!